At the birth of the universe, it is thought that the four forces that govern our world (the strong, weak, electromagnetic, and gravitational forces) were unified in the form of a single force. When temperatures fell with the evolution of the universe, this unified force separated to the four forces. The Grand Unified Theory, which governed the universe until about 10-38 seconds after the Big Bang (1016 GeV, in terms of the energy of the universe), deals with energies too high to inspect directly through collision experiments in an accelerator. However, the Hyper-Kamiokande experiment can directly investigate the Grand Unified Theory by exploring proton decay. If protons decaying into more light particles can be observed, it means that all matter, including human beings, in the universe has a finite lifetime and will decay in the future. Hyper-Kamiokande will elucidate neutrino properties such as the CP violation of neutrinos and approach the mysteries surrounding the evolution of the universe and the birth of life, through the observation of solar neutrinos and supernova neutrinos. Hyper-Kamiokande will investigate CP violation on neutrinos (the difference between neutrinos and anti- neutrinos) by observation of oscillations using neutrino/anti-neutrino beam from J-PARC accelerator. 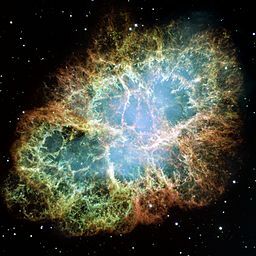 The present universe is filled with “matter” such as stars and human beings, but “anti-matter” is not seen. This imbalance between matter and antimatter might be developed due to the CP violation on neutrinos. We will investigate this assymetry. Based on the observation of neutrinos oscillations, the differences between the three neutrino masses have been measured. However, it is not known whether the two masses that compose solar neutrinos are heavier or lighter than the third mass. Determining the ordering of the neutrino masses is an important line of research not only because it increases the precision of CP violation measurements but also because it is an essential ingredient for determining whether the neutrino is a Majorana fermion, a type of particle which is indistinguishable from its antiparticle. Using cosmic neutrinos such as the neutrinos originating in the sun, our galactic center, or a supernova explosion, we may study the stellar objects themselves. It is expected that Hyper-Kamiokande will enable us to elucidate the history the universe. Credit: NASA, ESA, J. Hester and A. Loll (Arizona State University) – HubbleSite: gallery, release. It is one of the important questions for the elementary particle physics community is whether or not a proton remains stable forever. The Grand Unified Theory, which is a larger framework of elementary particle physics than the Standard Model, predicts that protons decay into lighter particles. Hyper-Kamiokande will be the most sensitive detector for use in proton decay searches in the world. The aim of Hyper-Kamiokande is to explore new horizons beyond the Standard Model.